Every professional wants to develop a portfolio which is better than market standards, and makes a lasting impression of clients, pushing them to contact the individual for their services. 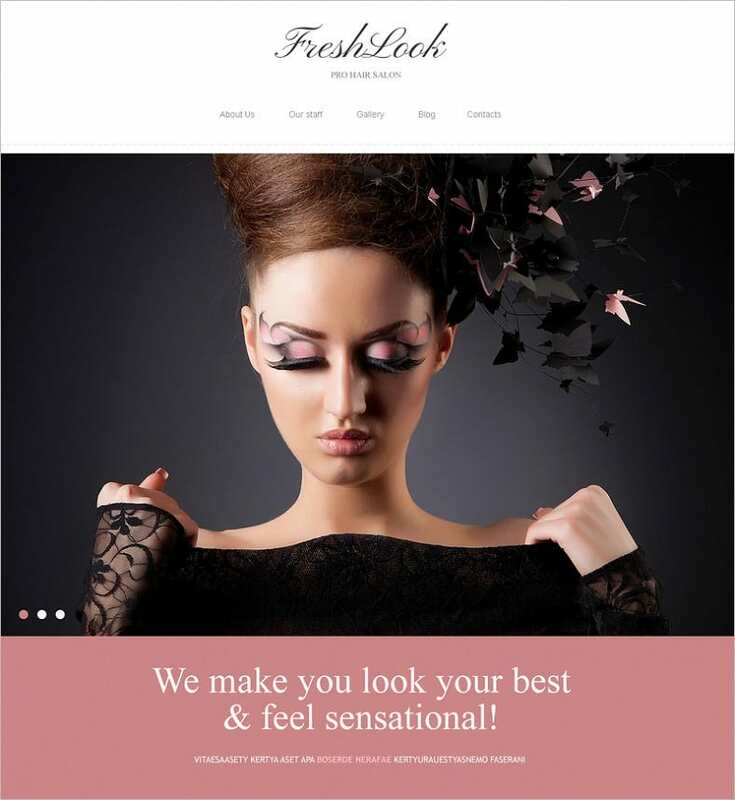 In this article we have compiled a lineup of creative Website templates for makeup artists. Makeup is an art, so naturally an artist’s portfolio must reflect his or her craft. 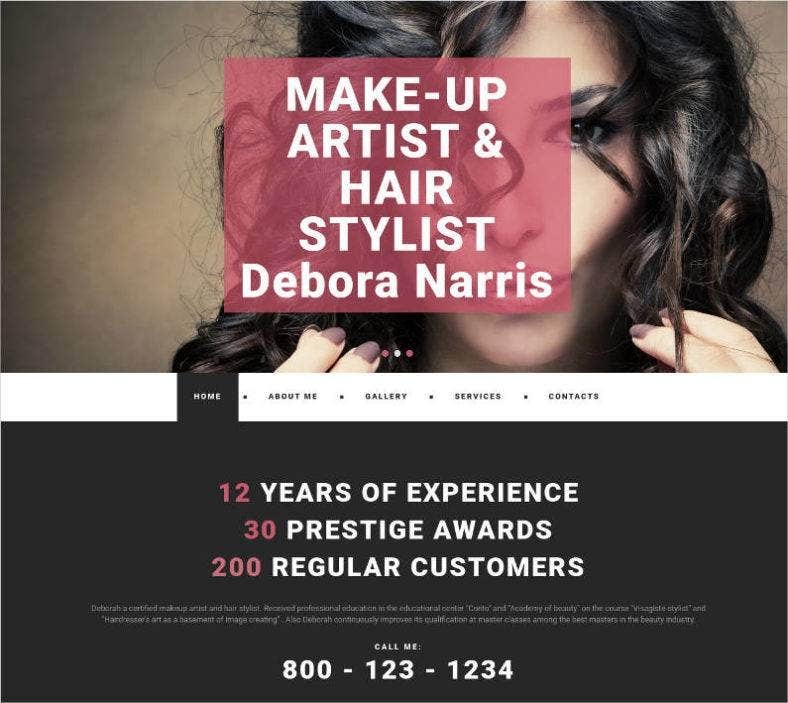 With the help of our template selection, you’d be able to showcase your skills and work-profile in an effective way! These templates are available in free and premium version, and you can download them and give your personal artistic touch to it. 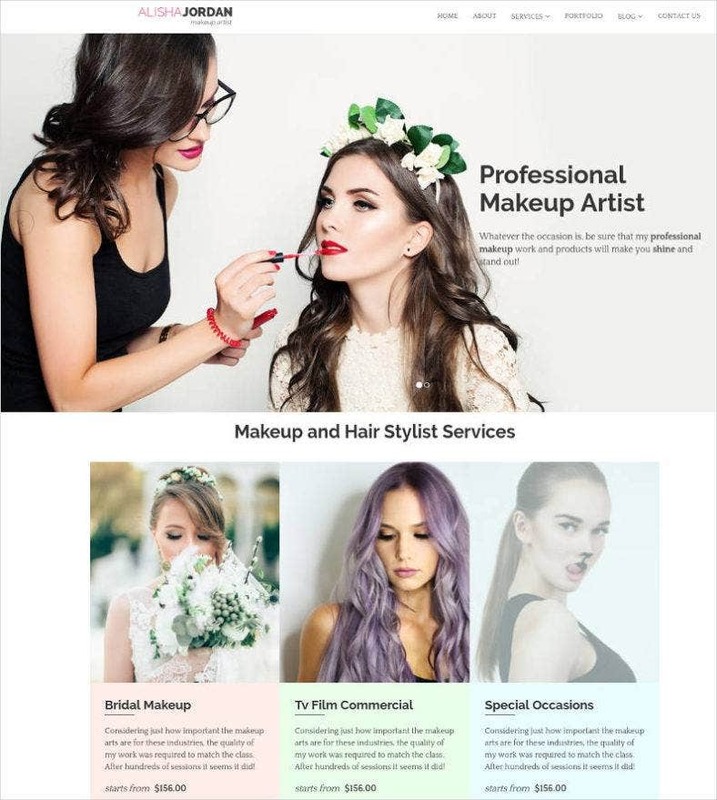 Through makeup artist website template wordpress you can convey the versatility of your business, just like a hairstylist can show his or her capabilities through Professional Website Themes & Templates for Hairstylists. 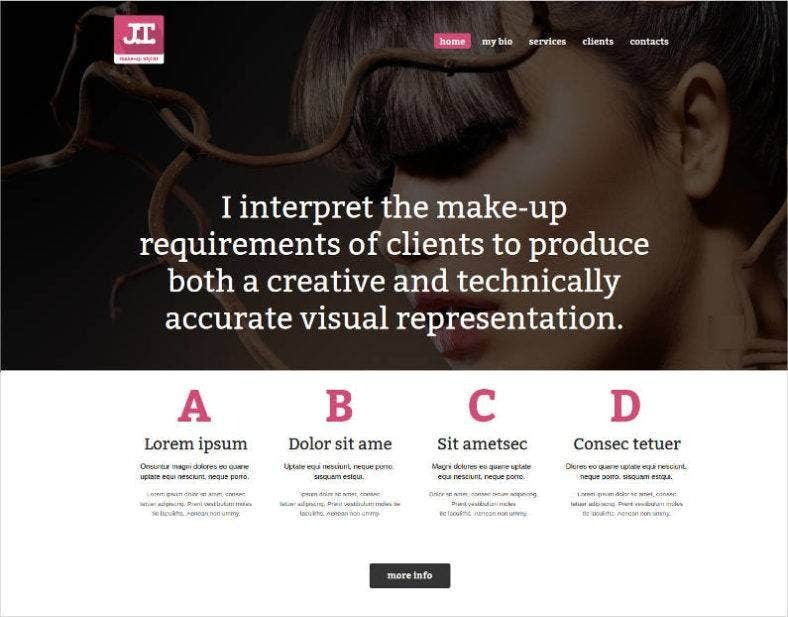 This template stands out in the crowd with its 2 column layout, blog section and sortable gallery. 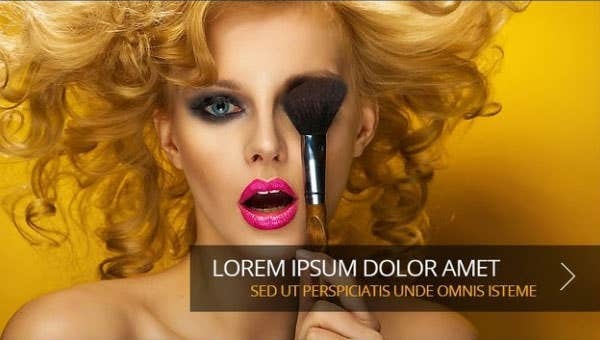 The homepage has a multi-image slider powered by jQuery. 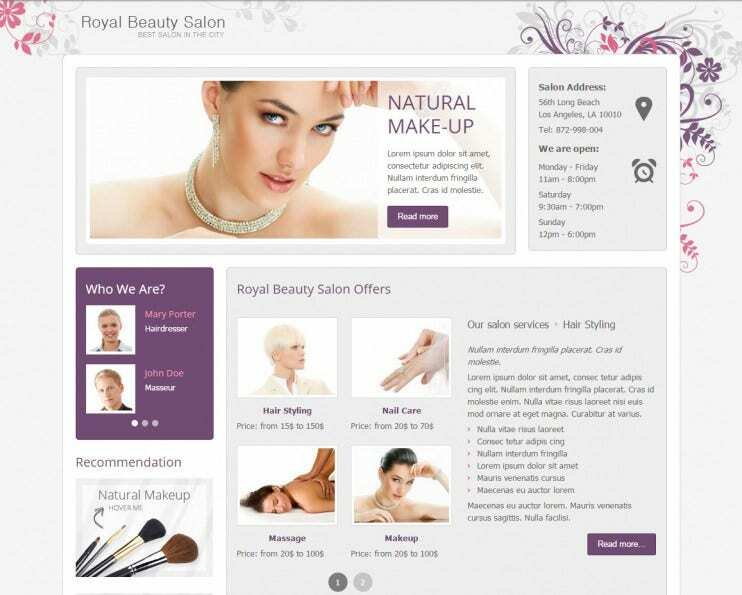 The HTML5, CSS3 and Semantic code adds the necessary flexibility to the responsive, SEO friendly template. 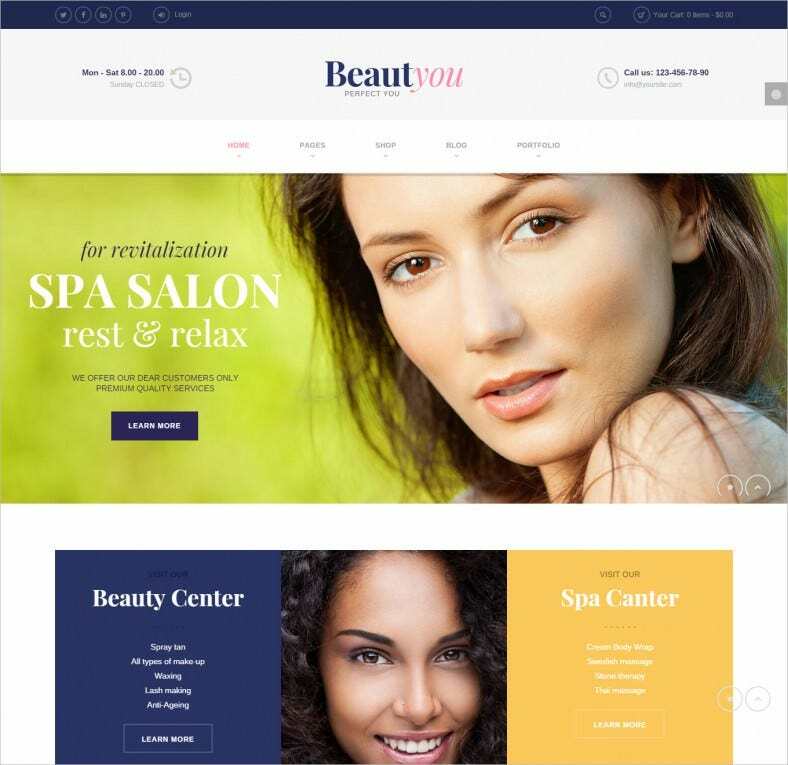 This one is the gem of our collection with 6 homepage layouts, 6 different header styles, 2 footer styles, 4 slider varieties and 18 types of gallery styles. The parallax design with a fully responsive layout results in a futuristic rendering. 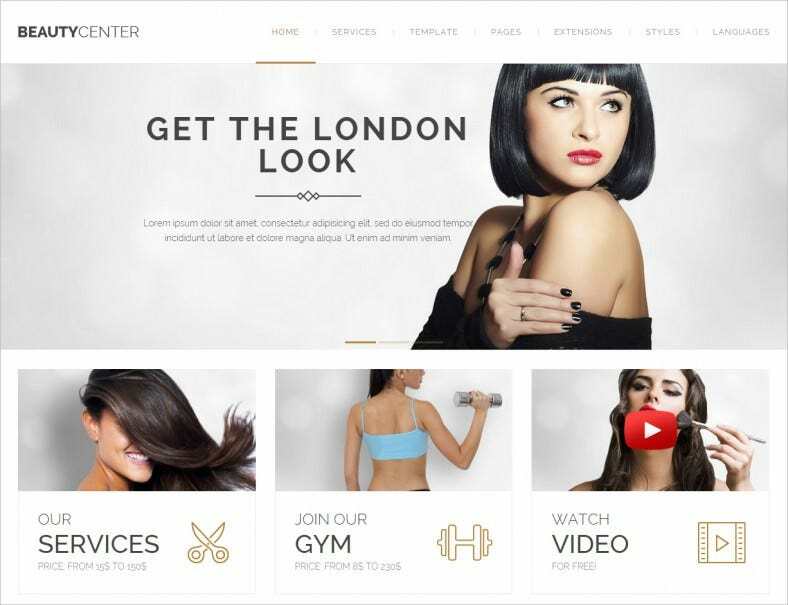 Built with HTML5 and CSS3 coding on a LESS support and Bootstrap framework, this template has a responsive layout. It also has RTL language support and a compatible module section. These templates are ready to be used; just some tweaks here and there and it will be an epitome of your business. 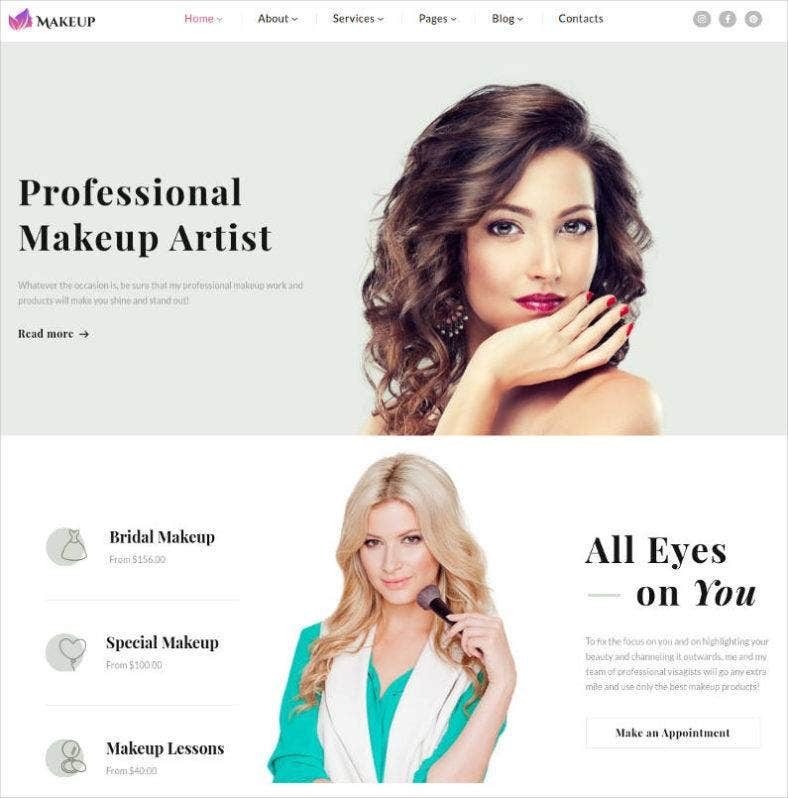 Sample makeup artist templates enable you to decide where you can show different categories. Graphics, pictures and colour schemes all combine to highlight various features.